Planning for the future. It’s something that happens on farms and ranches across the nation, in businesses large an small, in community and industry-organization meetings and even around family dinner tables. And it’s something that’s been a primary focus for the American Royal as it prepares to move to Wyandotte County, Kansas, after more than 100 years in Kansas City, Missouri’s West Bottoms. According to Angie Stanland, chairman of the American Royal board of directors, the decision to move to Kansas was not made overnight and was not simply a decision to move to a new physical address. Today, the American Royal attracts approximately 270,000 exhibitors and visitors to more than 40 annual events, including livestock shows, equestrian events, judging contests, youth and professional rodeos, the World Series of Barbecue, which is the world’s largest barbecue competition, and more. According to Stanland, the new campus, with state-of-the-art venues for livestock and equestrian shows and exhibitions, and a world- class agricultural education center, will also include space for future growth of food and agricultural businesses and industry associations – establishing the area as a hub for agricultural growth. Kansas Governor Sam Brownback has touted the project as an opportunity expand the agricultural focus in the state and elevate Kansas’ prominence in the food and agricultural industry. The new American Royal campus will include a high-tech and interactive food and agricultural education center. In addition to providing experiences to engage with consumers of all ages about the food and agricultural industry, the education center aims to be a trusted and respected resource for food and agricultural learning, and to provide opportunities to attract and develop the next generation of industry leaders. In order to provide a world-class experience to all exhibitors and visitors going forward, the American Royal Building Committee has embarked on a mission to visit other agricultural event, competition and education facilities around the United States to benchmark venue sizes and features, and listen to key constituencies, including farmers, ranchers and agribusiness leaders about their priorities for this type of complex. Not only will the new campus, which will be located immediately northwest of the Kansas Speedway in the Village West retail and entertainment district, be larger in size, allowing for growth in exhibitor numbers, but design features related to stall sizing, water, electricity, parking, wash racks and more are being carefully planned to provide the best experience for all who come to the campus – from exhibitors and spectators, judges, food vendors, and more. 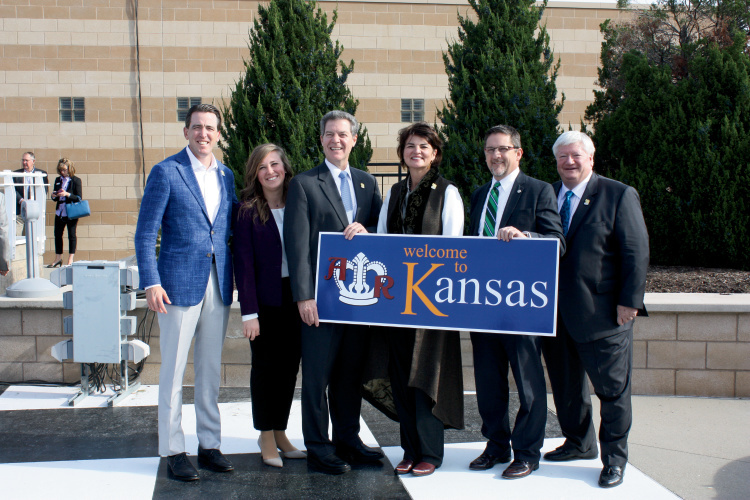 The planning and construction of the new American Royal campus in Kansas is expected to take approximately two years, with groundbreaking expected in 2018 and occupancy occurring in 2019 and 2020. Stanland says the next future is bright, with a new campus that allow the American royal to expand and enhance its agricultural education mission, grow agricultural events year round and attract partners in the agricultural industry.